The Full Tilt Redpoint Plan – a 12 week program aimed at improved single-pitch rock climbing. Climbing training programs work. No matter what the program, if you can stick with it, your results will be superior to not planning at all. Programs can go from general – “climb three days per week” – to very detailed, outlining every facet of a plan down to fractions of load and rest periods. In my experience, the best programs are somewhere in between, allowing for a normal life schedule and plenty of time out on the rock. I believe that climbing is a skill sport. 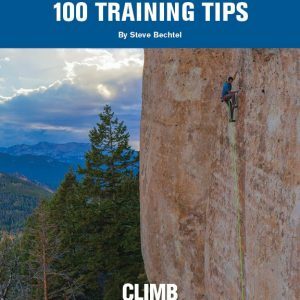 Because of this, my training recommendations always follow the 75/25 rule: 75% of your training time should be spent “practicing” climbing, and 25% is where everything else fits in. This is reflected in many of my other programs and will show up in this one, too. 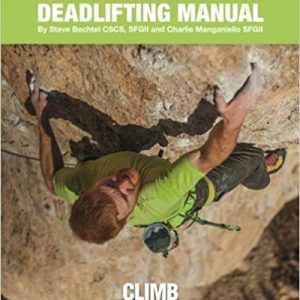 A good rule of thumb: If you’re wearing climbing shoes (bouldering, capacity workouts, outdoor climbing) then it is “practice”. If you’re in street shoes or barefoot, it falls in the “training” category. I wrote this plan for myself. For years, I have followed and experimented with different program structures. What I wanted to build was a program that allowed me to stay close to top form for as much of the year as I could, so that when I got interested in doing a hard route it wasn’t a months-long build up to a possible send. I wanted a plan that was more stable than those I had previously used, and one that would work in a “normal” weekly schedule. This makes sense if you look at climbing compared to other skill sports. The majority of skill-oriented sports have long seasons with top performers that stay close to the top of their game much of the year. 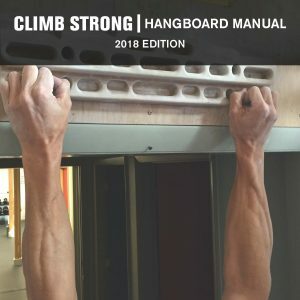 When climbers started pulling training ideas from traditional sports models, they neglected to note that these plans were frequently built around cyclic (i.e. running, skiing, cycling) sports whose primary energy needs were transient factors such as aerobic metabolism. By modeling such a plan, these climbers were doomed to spend much of the year rebuilding and rebuilding that which could easily have been maintained. Years ago, I could follow any kind of training plan more-or-less successfully. As I have aged and become a business owner, husband, and parent, my time has become much more limited and rigidly scheduled. The Full Tilt Plan lets me train effectively on a regular weekly schedule, because it is built on a foundation of intensity variation. 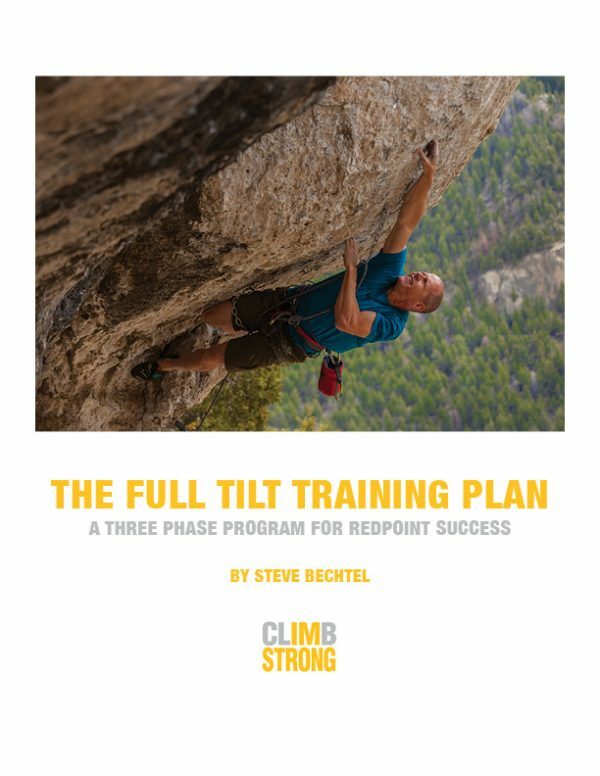 This is not a plan for climbers who like to perform seasonally. There is nothing wrong (and there are many things right!) with taking several months away from hard rock climbing to pursue other interests. Many successful climbers ski all winter, climb alpine routes all summer and send hard routes in the spring and fall.